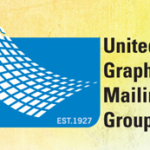 Nine Tips for Your Next Print Project or Mailing: Part IV – Giving Tree Associates, Inc.
7. As mentioned in Part I, postage can be a major expense in your print/mail project budget. It is important maximize any discounts available to you. There are several presort discount options, but in order to qualify you must send your project to a mail house or find a printer who does this (or sort yourself, which can be timely and confusing). Mail houses will sort by zip code and verify addresses through NCOA and CASS according to post office standards. First Class: To qualify for a first class presort discount you must mail a minimum of 500 pieces. You receive the same discount whether you choose to stamp your piece or choose to use a mailing indicia. Expect your mailing to be delivered within 2-4 days. Standard: To qualify for standard mail you must mail a minimum of 200 pieces. However, sometimes it will be less expensive to mail 200 pieces yourself with first class postage because mail houses charge a processing fee. You’ll have to weigh the savings benefits vs. the added cost. Expect your mailing to be delivered within 7-10 days. Nonprofit: To qualify for a nonprofit presort discount you must mail a minimum of 200 pieces and you must have a nonprofit authorization number from the post office. You must apply for an authorization number several months prior to the mailing. Your mail house will most likely be able to help you with this process. Expect your mailing to be delivered within 7-10 days. Understanding these costs can help your organization save time and money. Be sure to apply for a nonprofit permit and plan ahead so that the longer delivery time is not a factor in your decision. 9. Most mail houses require that you pay postage up front. This is because there should never be any mark up on postage and mail houses will not cover this cost for you in advance of the invoicing process. So, as soon as the piece is designed, as about mailing costs and be sure to get a check to your printer/mail house quickly so that this does not delay the mailing. If you want to verify that you are being charged the proper amount for postage, you can request a copy of the 3602 form for your mailing. This is the form that is filed with the post office for every job that a mail house sends out. In conclusion, it is strongly recommended that you create a timeline as part of your direct mail process. As you have read,there are many factors to consider, including the right print and mail house for your needs. Find someone who will be your “expert” and who you can trust. They should be willing to walk you through the process, asking productive questions and making suggestions along the way. I hope these steps save you time and money. Good luck!